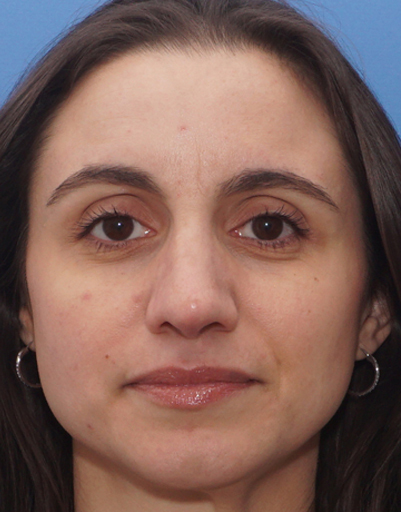 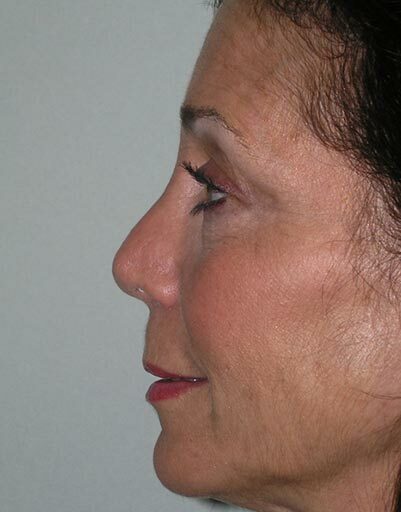 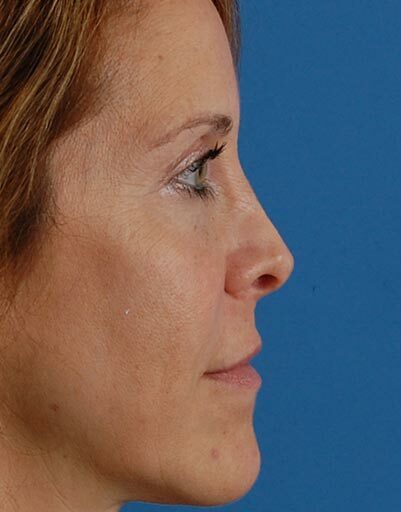 Mrs. S. had previous nasal trauma, crookedness, nasal obstruction, and a profile bump that she wanted addressed. 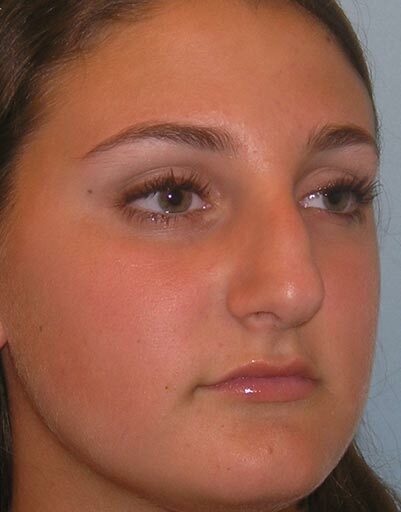 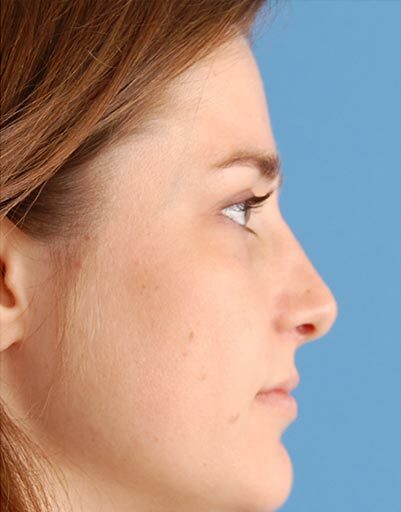 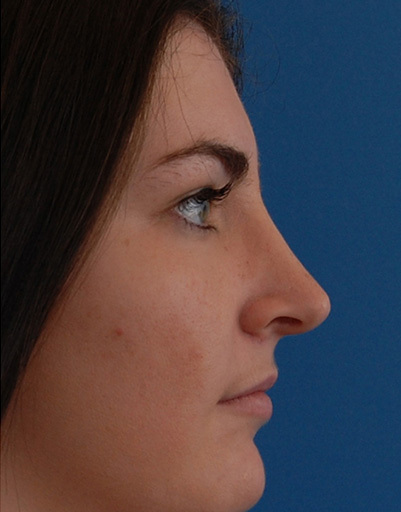 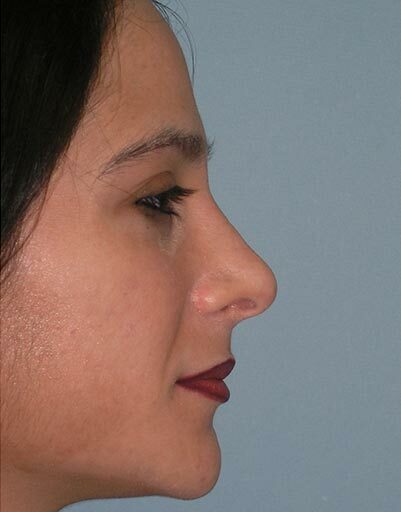 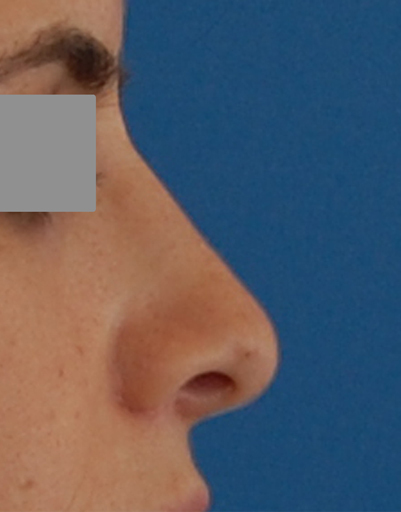 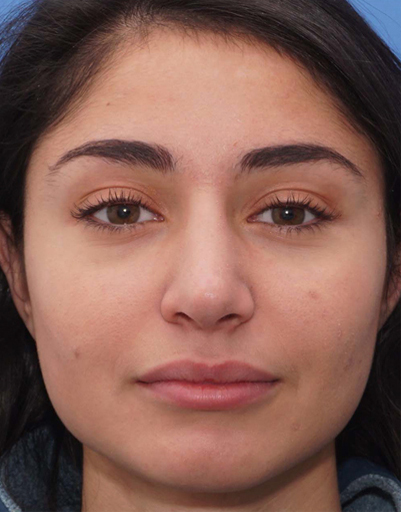 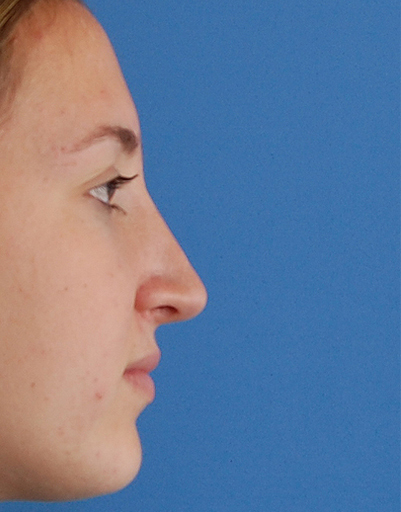 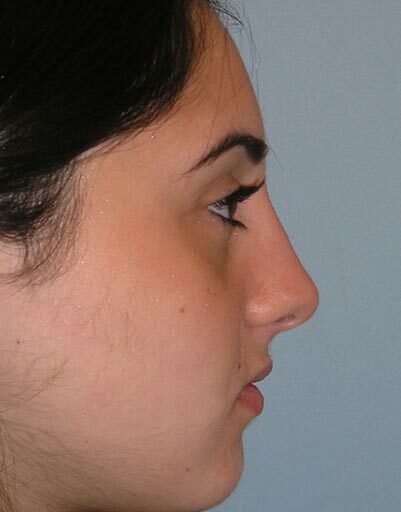 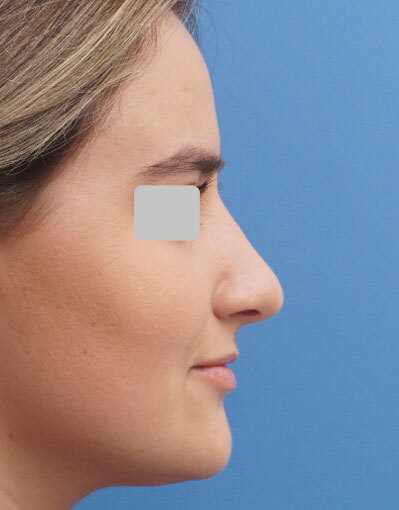 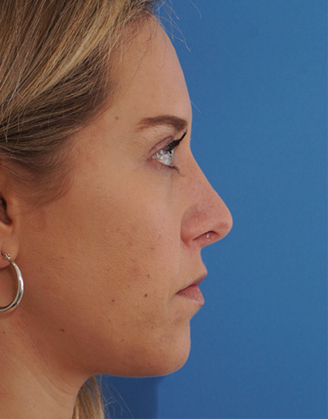 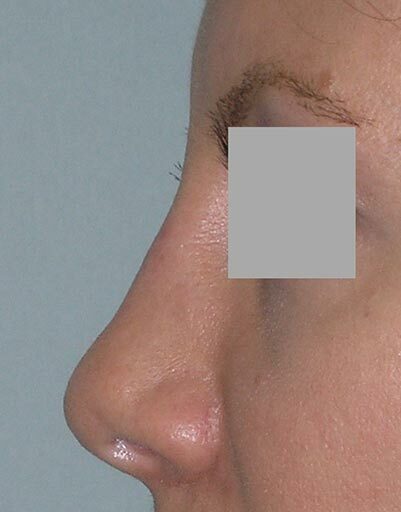 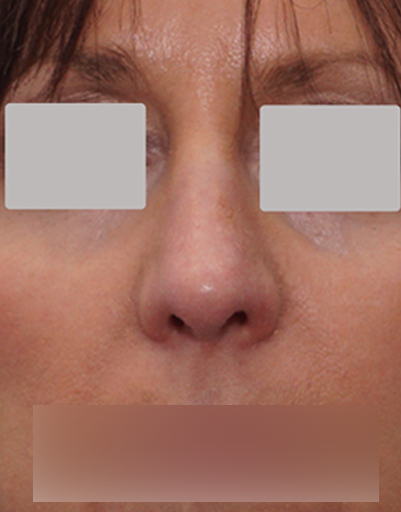 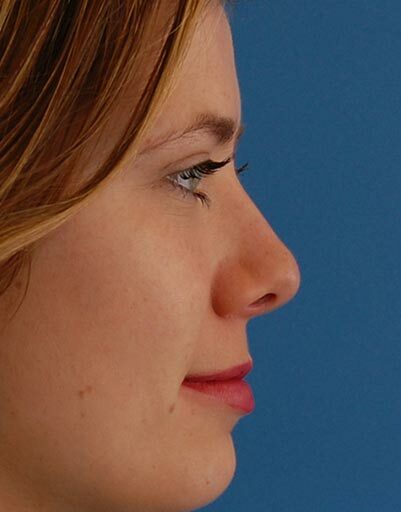 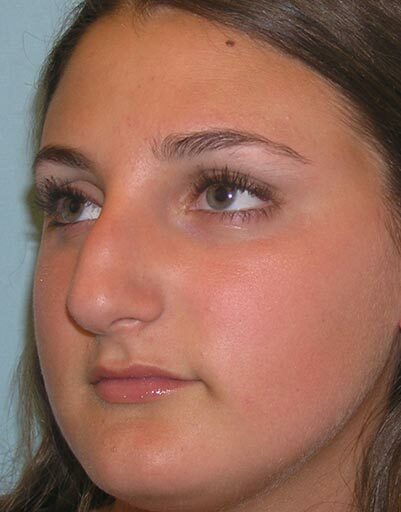 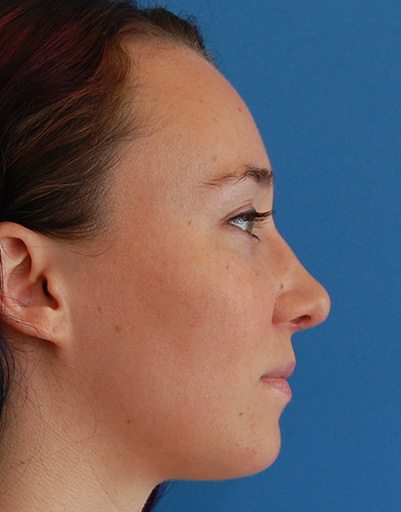 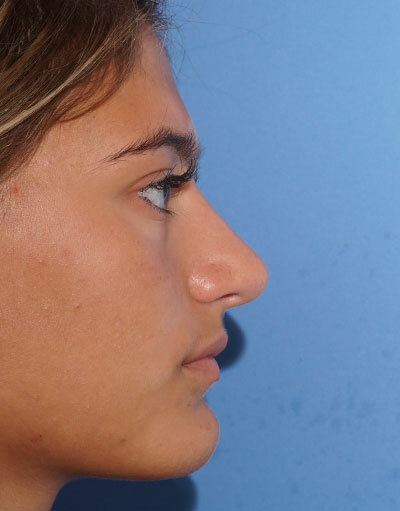 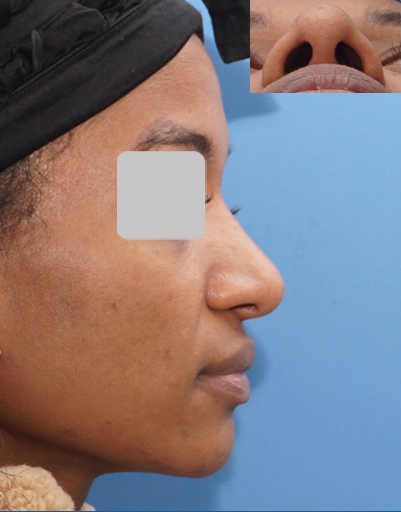 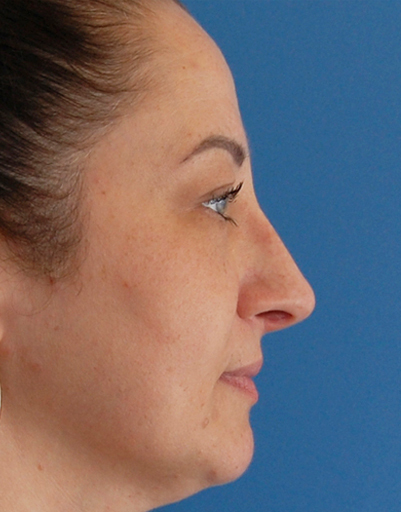 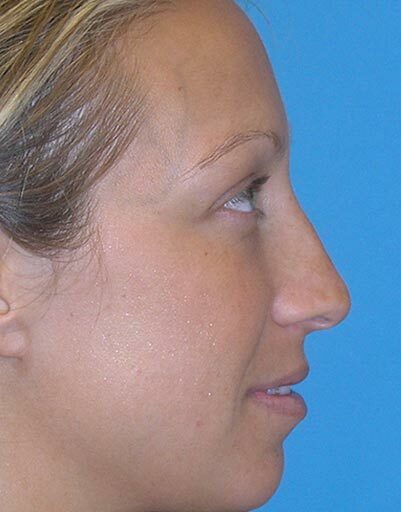 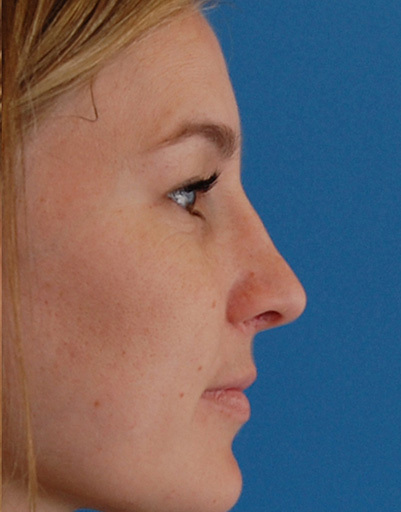 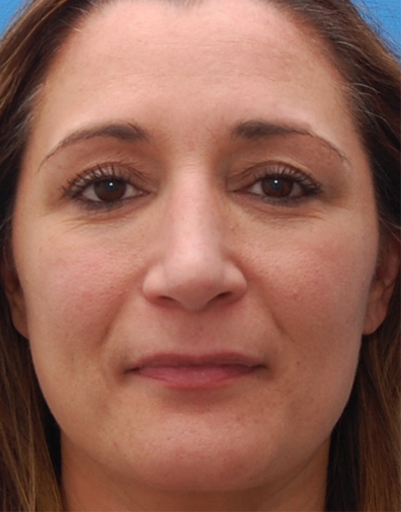 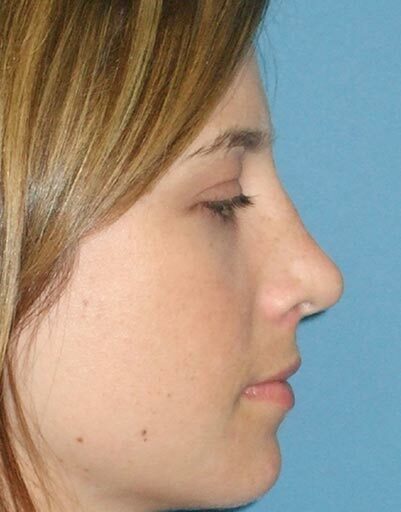 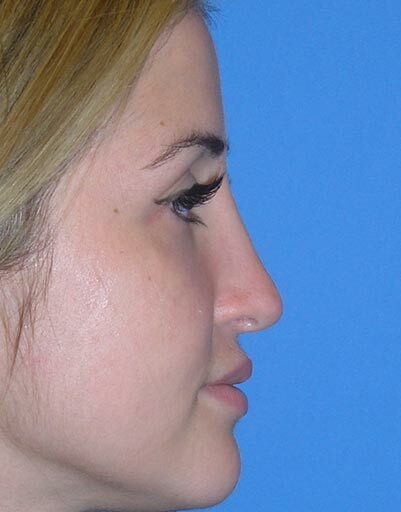 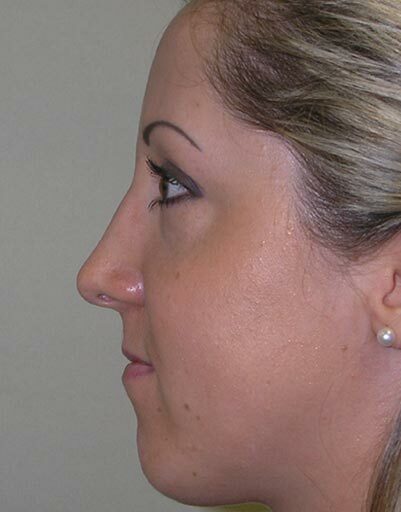 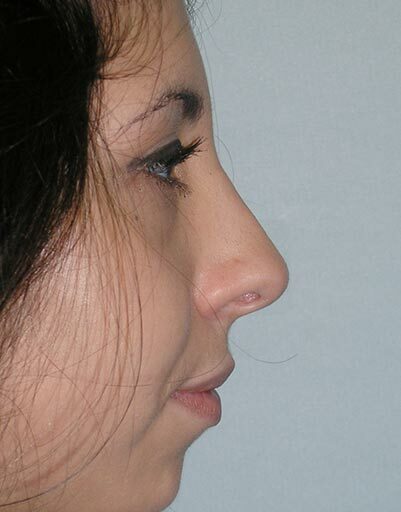 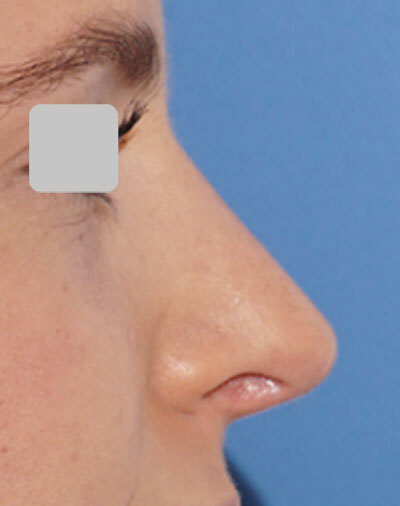 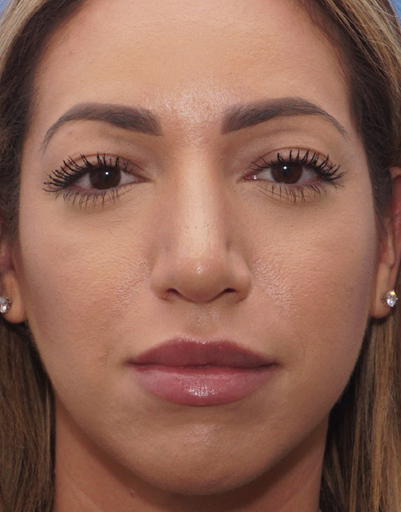 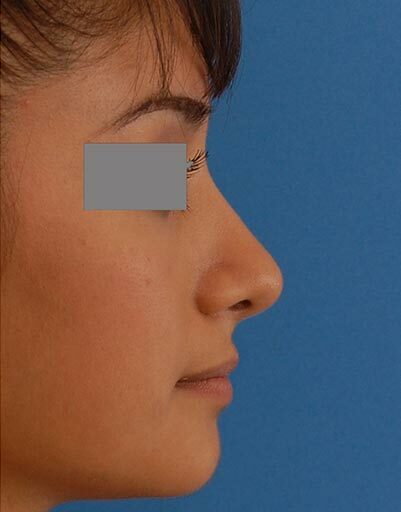 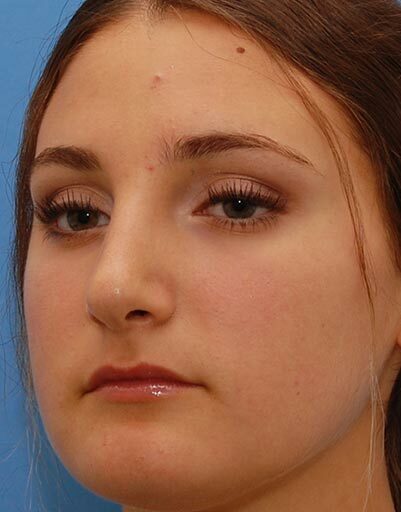 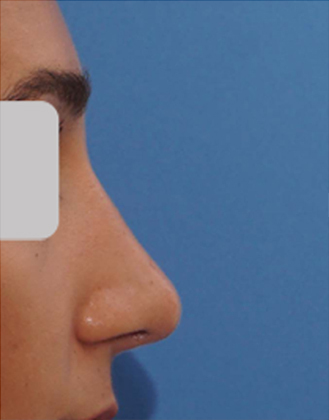 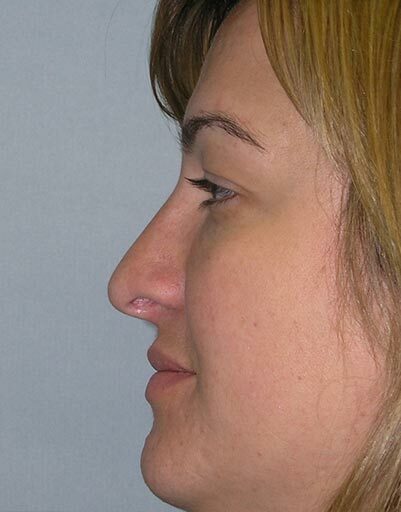 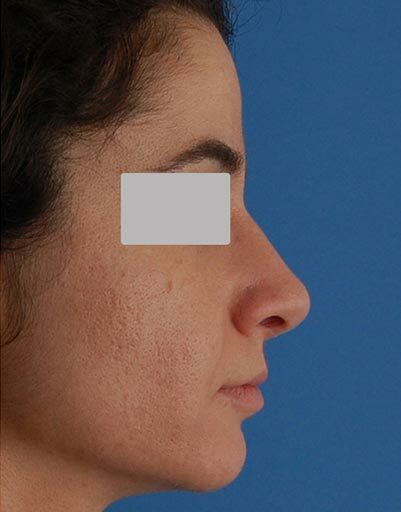 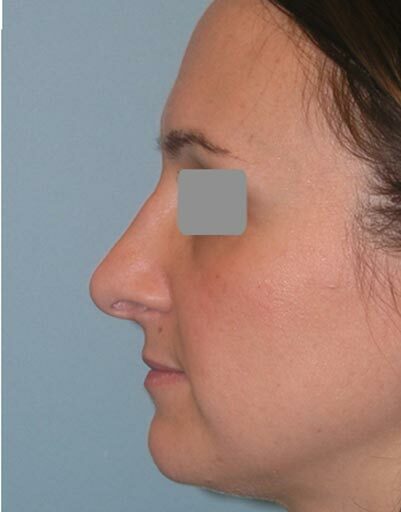 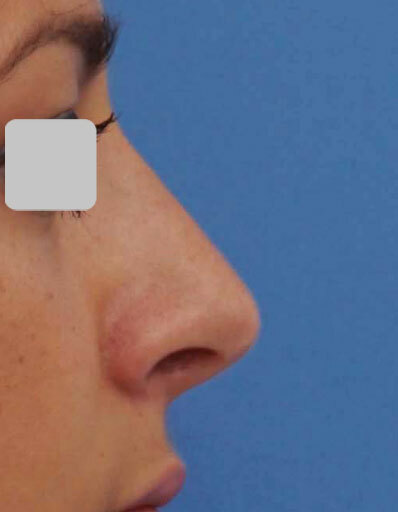 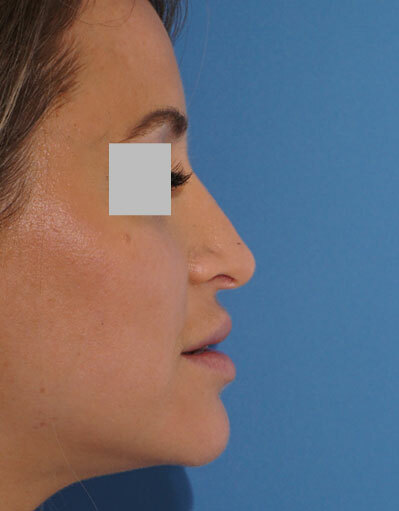 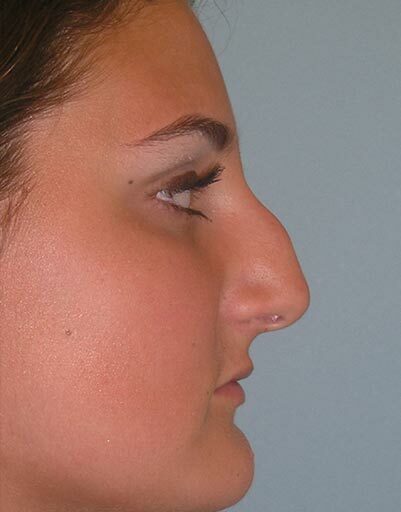 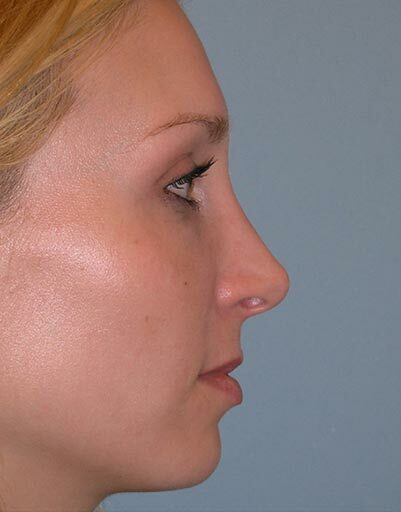 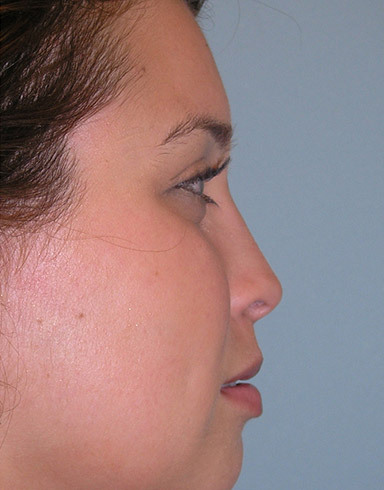 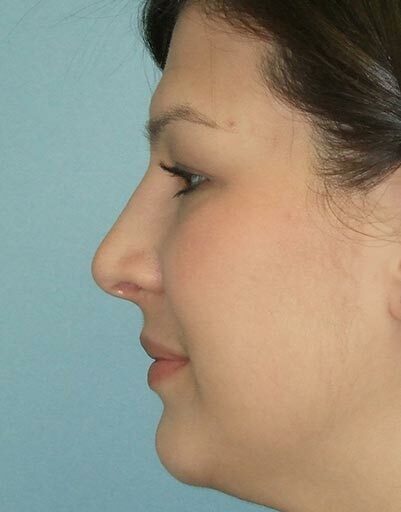 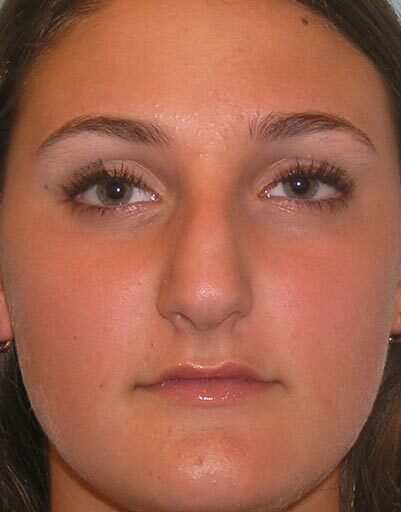 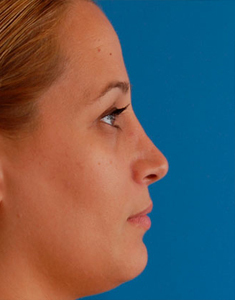 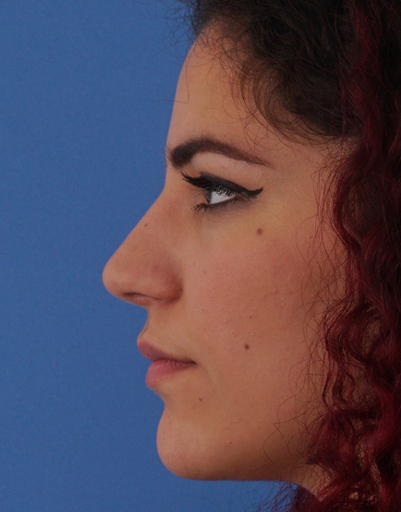 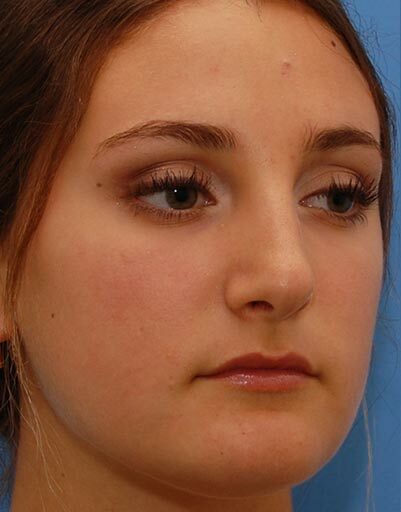 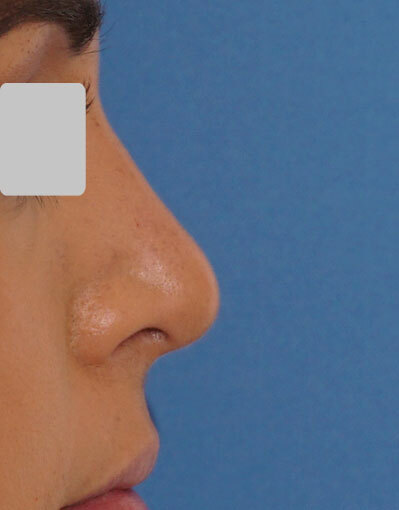 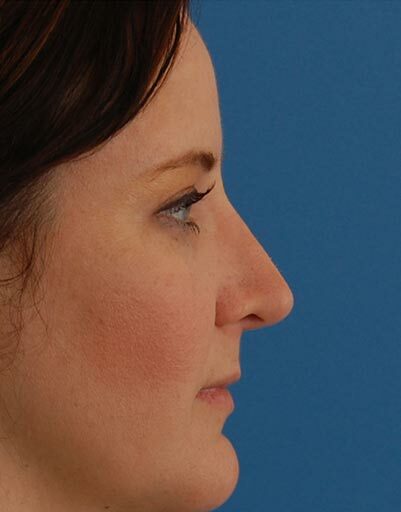 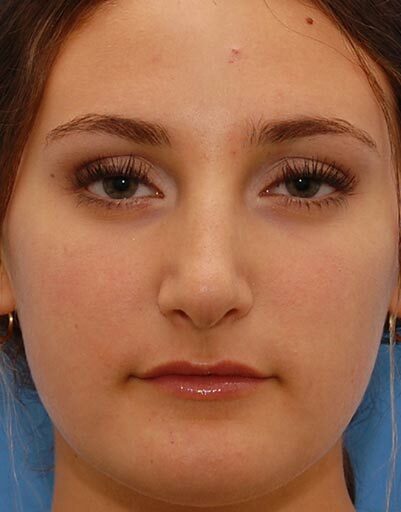 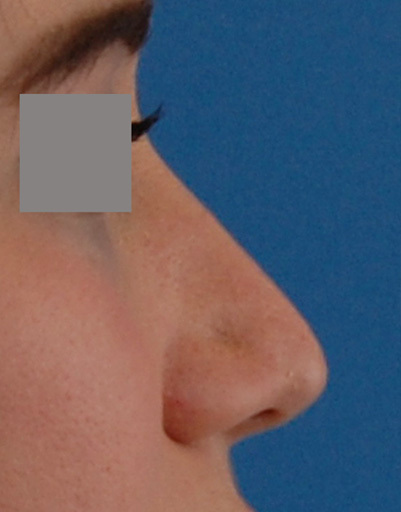 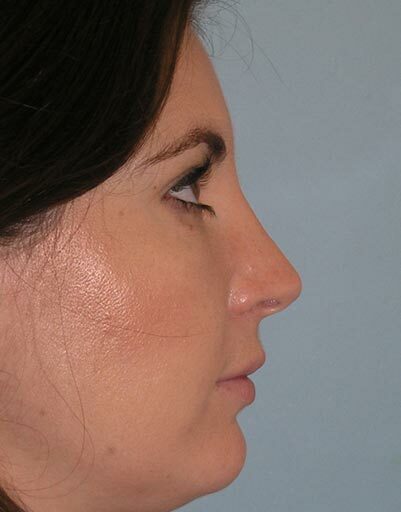 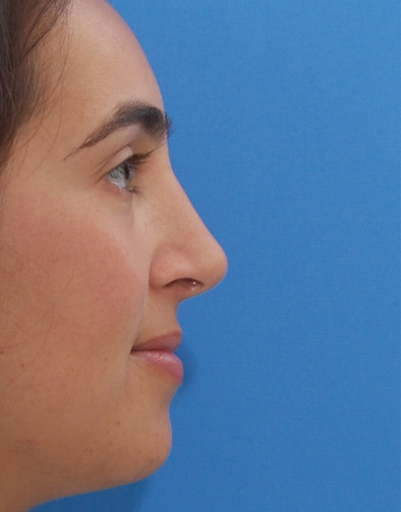 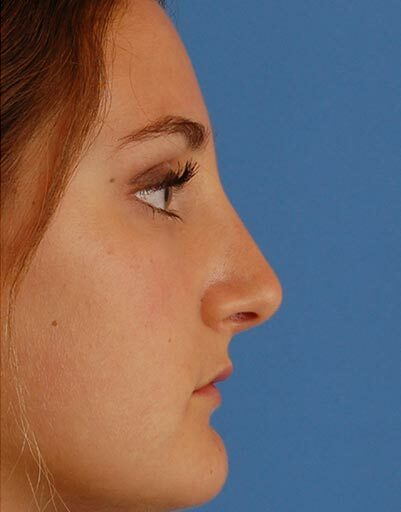 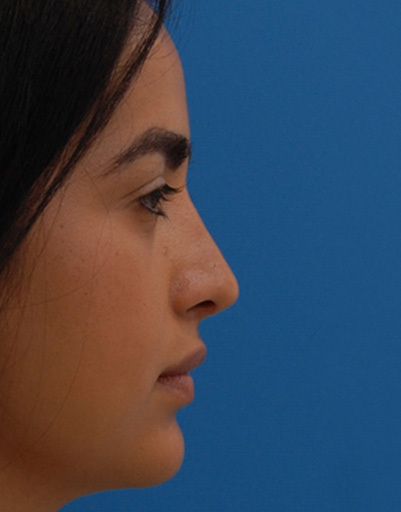 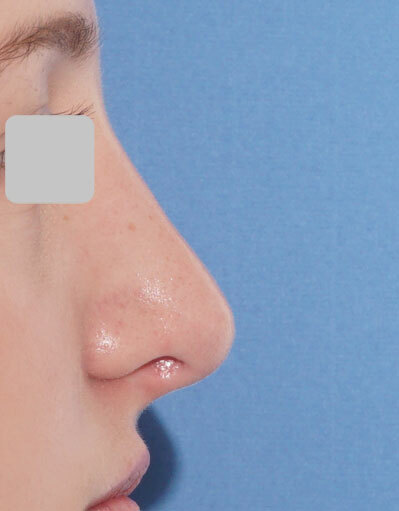 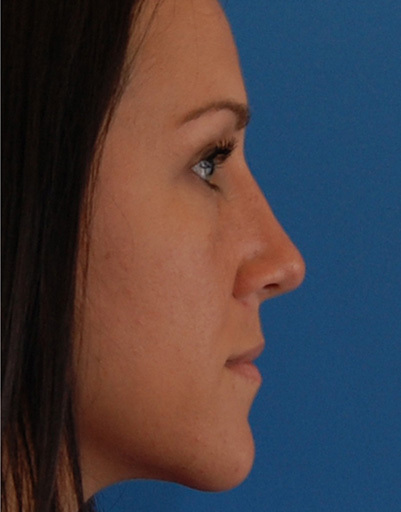 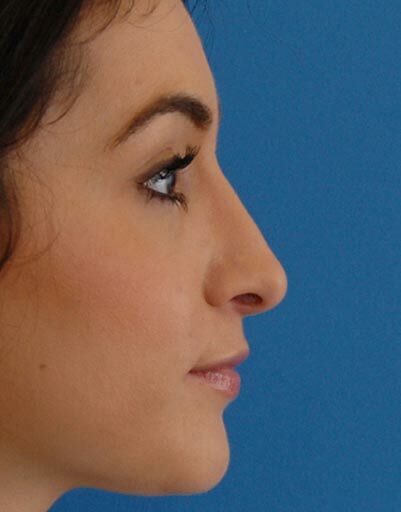 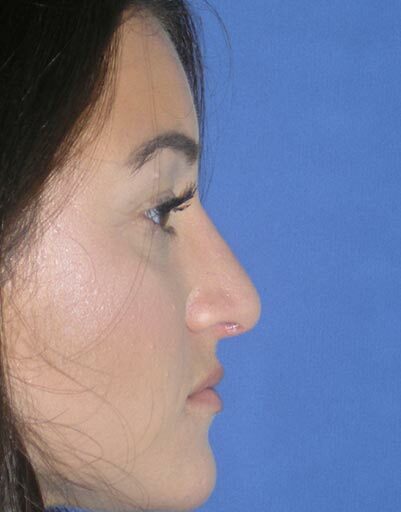 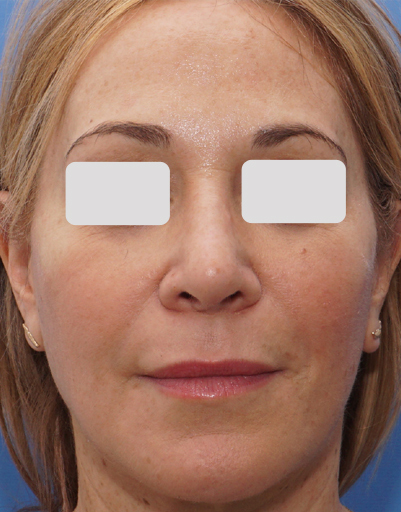 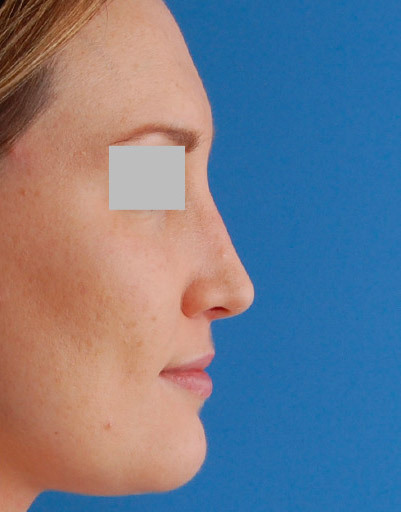 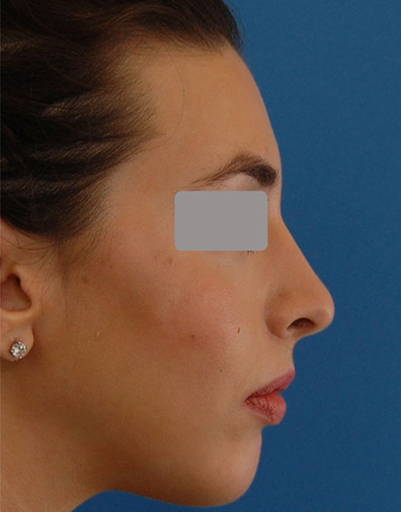 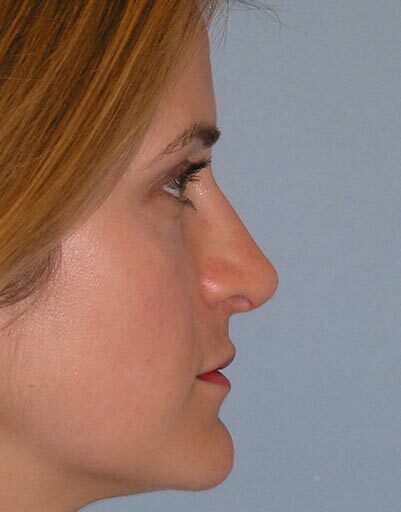 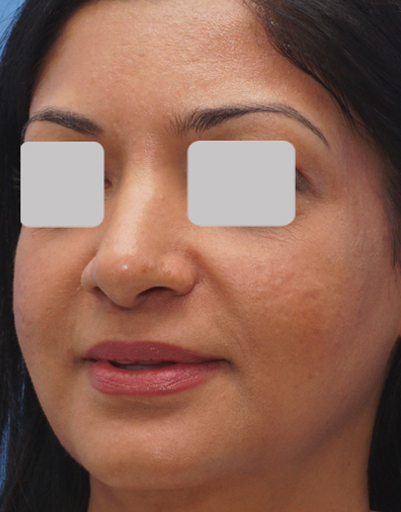 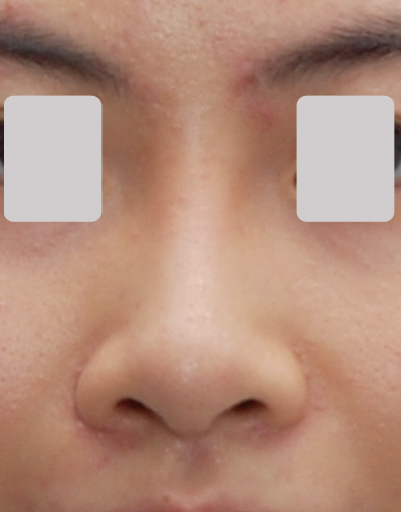 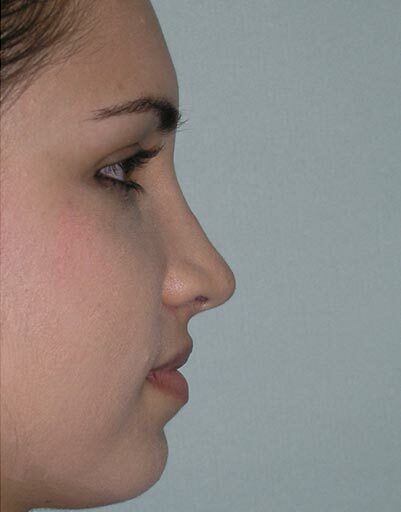 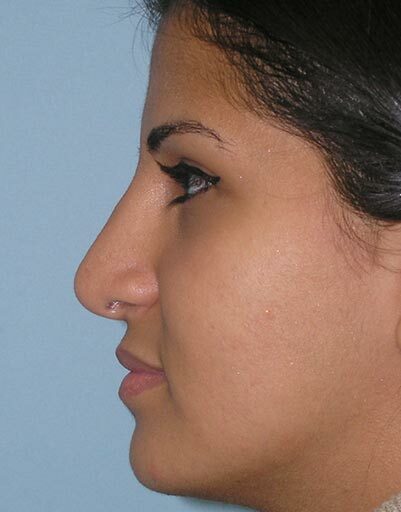 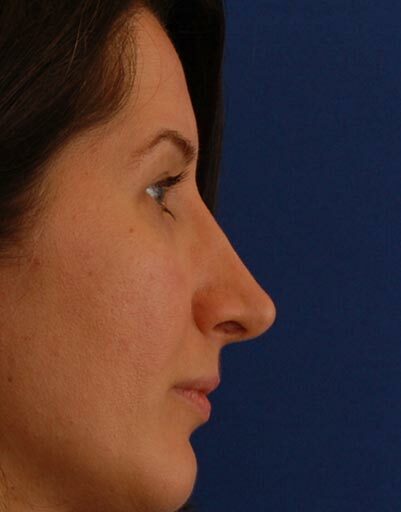 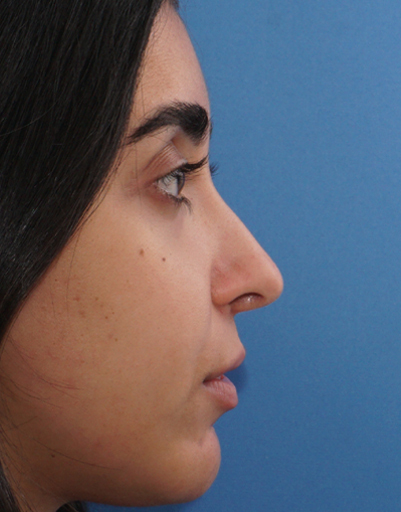 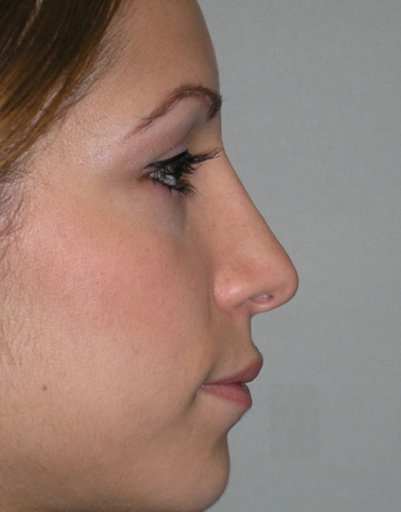 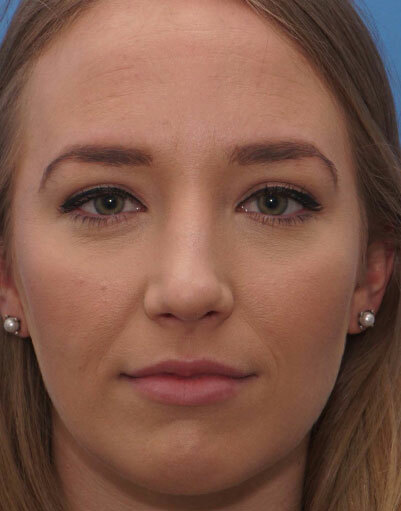 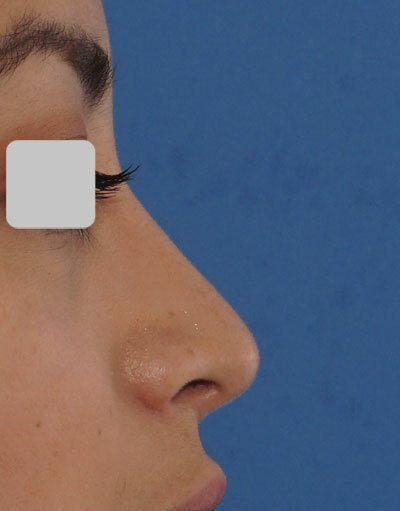 A Closed Profile – predominant Rhinoplasty and Septoplasty were performed. 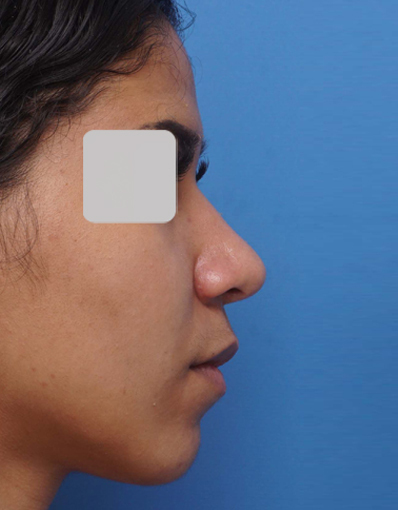 A left spreader graft was placed, and the volume of her left tip cartilage was reduced. 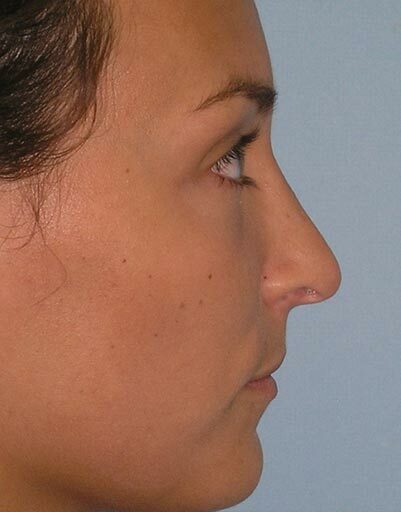 The septum was shaved and a columellar strut was placed to provide symmetry to the columella. 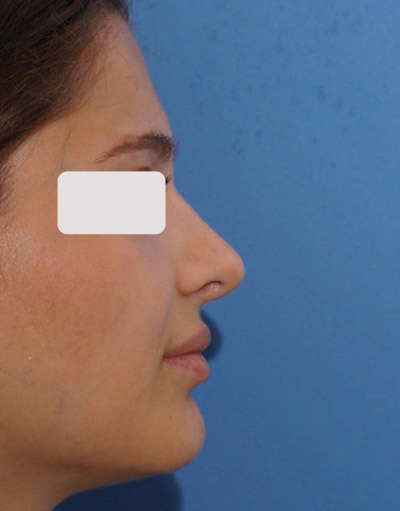 In addition a right subalar graft was placed to level the nasal tip foundation. 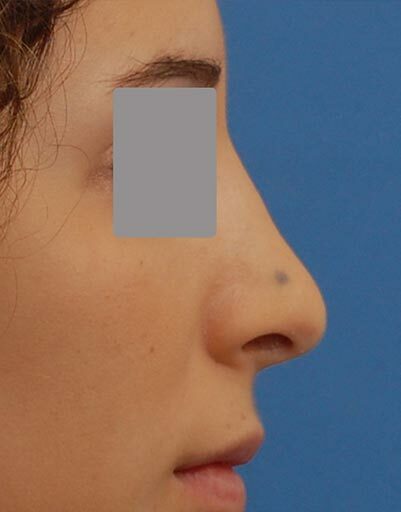 In all, while no formal nasal tip surgery was done, the result is a beautiful and straight nose, which looks completely natural. 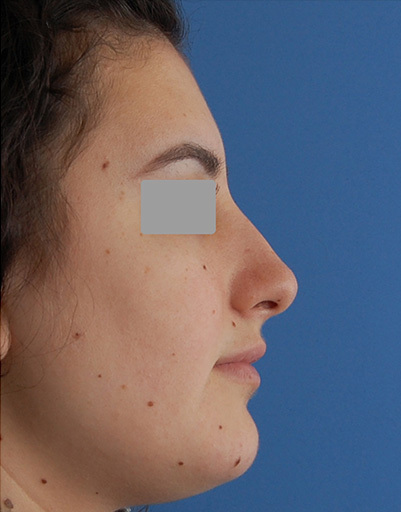 The result is shown at 1 year post- surgery.